C-MAP®, a leading supplier of digital navigation products to the maritime market, in partnership with a global leader in remote sensing services, EOMAP GmbH & Co KG, announced today the launch of EcoSat. A new semi-automated wetland and coastal habitat mapping product that is part of the BioBase Cloud Mapping Platform, EcoSat uses the unique reflectance properties of vegetation and sea bottoms from high resolution satellite imagery and creates distinct polygon objects with spatial properties like area and perimeter. EcoSat’s power is doubled when combined with its sister product EcoSound which uses sonar and GPS data files to map depth and submerged vegetation. EcoSat complements BioBase’s core functionality of submerged habitat mapping with sonar with new capabilities to inventory habitats in vast nearshore areas of quickly assess and monitor changes in wetland complexes, shallow lakes, tidal estuaries and marshes, and benthic habitats. EcoSat will also be an invaluable tool for the assessment and monitoring of invasive aquatic plants. The Florida Fish and Wildlife Research Institute (FWRI) is currently using EcoSat and EcoSound to generate full aquatic vegetation inventories in high profile Florida lakes. internet-enabled device. 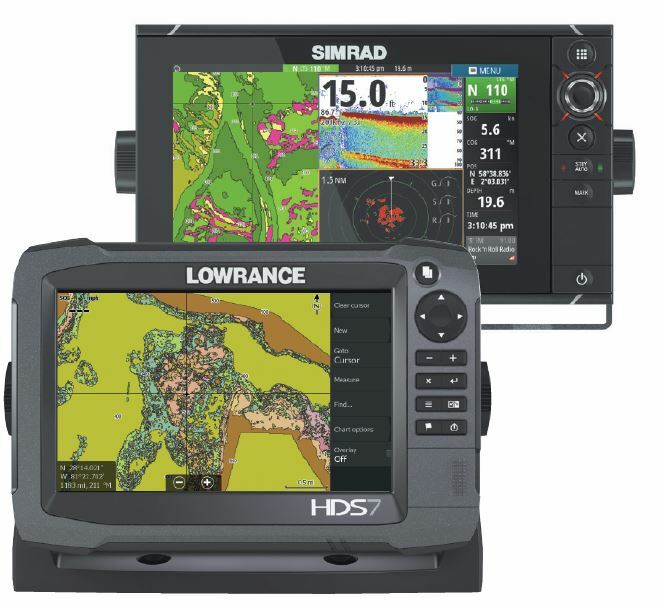 Users can also export custom charts of the EcoSat classifications to their Lowrance or Simrad chartplotter and navigate directly to a habitat of interest. For more information about EcoSat and the BioBase Cloud Mapping Platform, visit www.cibiobase.com.